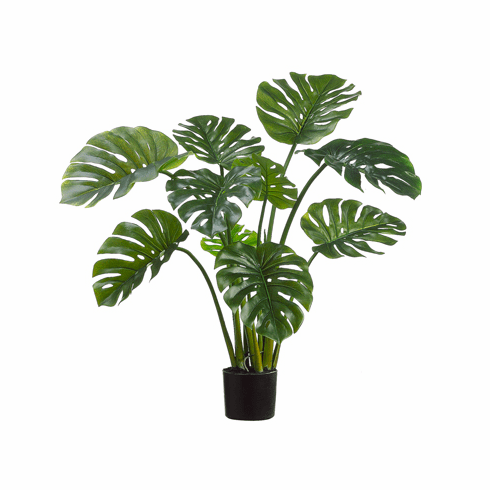 The artificial leaves on this amazing plant will sure to fool your guests. These floor plants have a two tone coloring which makes the plant look like its living. This plant is already unique with the way the leaves split but the design team have really stepped up when creating these artificial plants. Size: 39 inches (3.25 feet) measure from bottom of pot to tallest point.